Lithium Batteries Call to Action! so that all you have to do is click below to let Congress know that your life matters as much as anyone else’s. Lithium ion batteries pose a unique threat to aviation safety. A lithium ion battery short circuit can lead to a fire or explosion that can overwhelm the fire protection systems on commercial aircraft. Additionally, lithium ion batteries are everywhere. 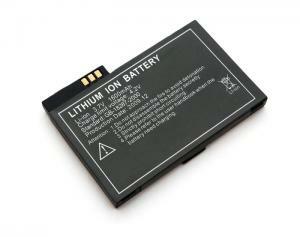 Lithium ion batteries power almost every portable electronic device in use today from Bluetooth headsets to automobiles. Their high power and energy to weight ratio, ease of charging, and durability make them ideal choices for a broad range of consumer electronic power choices. The regulations concerning their transport by air are extremely complex, but according to the FAA, most lithium batteries are transported under rules that omit some of the most important safeguards that govern most dangerous goods shipments. The result is that a FedEx aircraft could have over 100,000 legally compliant lithium batteries on board without the flight crew’s knowledge. FAA tests show that one lithium metal or ion cell going into thermal runaway can propagate from cell to cell within a battery or shipment, or between shipments and lead to loss of an aircraft. Halon is ineffective in suppressing lithium metal (non-rechargeable) battery fires. This means that a single short circuit in a shipment of lithium metal batteries can propagate unimpeded through the entire shipment and between shipments and lead to the loss of the aircraft. The gasses vented from as few as 3-8 of the most common lithium ion (rechargeable) cells can cause an explosion that renders B-737 class C cargo compartment fire suppression systems ineffective, and can lead to the loss of an aircraft. Since many laptop batteries use 6 or 9 cell batteries, this means that the gasses from one common laptop battery, after a process initiated by a single short in a single cell in the battery, can lead to the loss of an aircraft. Neither installed Halon fire suppression systems, nor approved flight crew procedures, are effective in suppressing a lithium metal battery fire, or in preventing the explosion from gas build up resulting from lithium ion battery thermal runaway. ICAO has approved a limit on the state of charge of lithium ion batteries shipped by air as an interim step until safe packaging standards can be developed. Limiting state of charge is not a panacea since limit will not apply to lithium metal batteries (they are not rechargeable, so they need to be shipped fully charged). Also, the battery industry has stated it is not enforceable and thermal runaway and propagation is not prevented at low state of charge for all batteries. Additionally, the threat of an external fire initiating thermal runaway in a shipment is not mitigated with low state of charge. It is, however, one layer of safety that can be used in a multifaceted approach that can reduce risk. Batteries continue to evolve, and what is safe today, might be unsafe tomorrow. Currently there are no regulatory or FedEx imposed limits on the number of cells and batteries in a single package, ULD, cargo compartment or aircraft. ICCAIA, Boeing, and Airbus have stated that lithium battery fires can overwhelm the fire suppression systems installed in their aircraft and that their systems were not designed to contain the threat from these shipments. The FAA, EASA, and ICCAIA (representing Boeing and Airbus) have stated that the threat originating in a location external to a lithium battery shipment and spreading to the shipment must be mitigated in order to transport lithium batteries safely. The FAA, EASA, a panel at ICAO, ICCAIA, Boeing, and Airbus have all recommended risk assessments to be conducted by those carrying lithium battery shipments. Among other factors, all recommend that the number and type of batteries carried be considered in the risk assessment. SMS requires airlines to perform risk assessments on known hazards. According to the FAA, most lithium batteries shipped today are transported under Section II provisions and therefore are not tracked as they flow through our system. FedEx does not know the number and type of batteries carried since we do not track Section II shipments in our system. Therefore, FedEx cannot carry out a proper risk assessment because we do not know the number and type of batteries on our aircraft (this unknown quantity may account for the majority of the batteries shipped on our aircraft). Once we’ve received and answered a few questions, we will also have Frequently Asked Questions available for you to read. If you’re curious about something that’s not there, just ask!